Ketogenic diet definitely keeps me happy as it offers so much of freedom to eat and several recipes to choose from. Not only recipes but it’s fat bombs. Just love it. Check out 12 delicious Keto Fat Bombs. 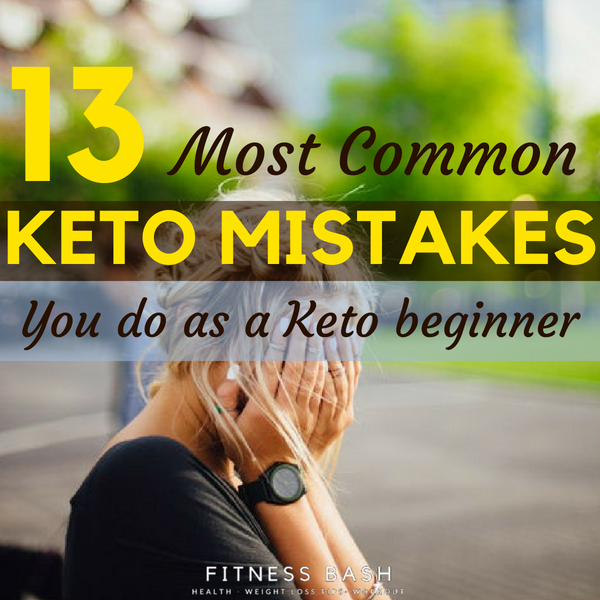 But when I just started with, then definitely I made a lot of mistakes which was hindering me from getting into ketosis. With few trail and errors finally, I got into ketosis. I have jotted down 13 most common mistakes and hope you do not make the same. Yes, scales do give us the picture of how much have we lost. But scales actually shows what we did a week ago. So if you are trying hard to lose and scales making you demotivated, just remember it shows what you did a week before. Your dedication this week will get displayed the following week. Where do you wanna see yourself the next week? It actually depends on what you are doing right now. So do not panic about the numbers. And scales do not show the amount of muscle gain or how much healthy your body is. So don’t freak. Keto is a HIGH FAT diet. Just remember this. Yes, only the good fats. Avoid carbs but not fats. You are running on fat now onwards. So, you need enough of that. You can get good fats from coconut oil, butter, eggs. Check out the full list of items which should be on your grocery list for a ketogenic diet. You should feel energetic all throughout the day. And when you are cutting on carbs that means your energy source should come from good fats. Just keep up mentally that you are NOT AVOIDING fats anymore rather you are running on fats now. Just like said before that you need a lot of fats for a keto diet BUT Right kind of fats. The processed seed oils, cookies, crackers will destroy all your hard work. So be extremely sure about the type of fats you are intaking. STAY AWAY from bad fats. Keto diet is all about having HIGH FAT, LOW CARBS and MODERATE PROTEIN. When you are just starting with keto diet then do not jump on very high protein intake, just check your body gradually that how much it can handle and still be in ketosis. In early stages when you end up consuming too much protein then you might enter a process called gluconeogenesis. Which means that your (high) proteins are getting considered as carbs and hence getting converted into glucose. Which will force you to be out of ketosis. Choose right kind of high fat and moderate protein foods. 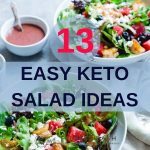 If all these seem a lot confusing then you take Keto Dash where you will get a perfect ratio of carbs, fat and protein and many recipes to keep you in ketosis all time. A salt imbalance is a big deal for keto lovers. When we try to lose weight, we normally reduce salt intake as it makes our body inflamed. But this phenomenon is different in keto as we do not have any inflamed body and we actually need salt in our food so that Kidney does not flush sodium from our body. Yes, but no more than 2 tsp salt a day. And so is magnesium and potassium required in our diet. With an insufficient intake of sodium, potassium and magnesium you will get a ‘keto flu’ whose symptom includes constipation, lethargy, headache which will eventually make you give up. You can have enough potassium from green leafy vegetables. Avocados can become your best friend. Almonds, walnuts, pistachios contain a high amount of magnesium. You can even take additional magnesium supplements if required. Electrolytes are important for all of our body functions and muscle contractions. Have it adequately. There are many popular diets which have their own nutrient bars. Do not go for all those. The Atkins bars are good for Atkins diet. The paleo foods are good for a paleo diet. While doing Keto eat as much as INGREDIENTS or make it yourself the stuff you can make with those ingredients. Avoid the processed foods as well as processed oils. Do not eat any keto food that comes in wrappers in supermarkets. Make your own. Just as said before that avoid any keto that comes wrapped; just because they may contain hidden carbs. We only check the carbs listed in the nutritional facts. But what about the sugar content that comes from sucrose, fructose, maltose, and others. Have plenty of leafy vegetables, nuts, and seeds. If you have any doubt about the composition of the packed foods then don’t buy it, rather make it yourself with the ingredients. You are bound to eat anything that comes in hand while you are hungry. So, meal planning is most important to me. I really cannot have a proper meal and my daily macros in the count if I am not planning it ahead. There are various meal preps available on Pinterest. I would suggest you do a meal prep at least for 3 days at a time. Initially, it is time-consuming but trust me it will keep you on track and you will know exactly what you are giving your body on a given day. The ketogenic diet is a lifestyle. And to change a lifestyle it takes time. We get our body energy from the carbs we take and suddenly we tell our body to convert the fats into energy. It can not happen in a day. Initially, you may not see any results, get a keto flu but just be committed and you will get into ketosis soon. If you just want a quick fix and drop a few pounds then cut the sweets out of your diet and you will lose weight. But, if you want a change in lifestyle and want to feel better then start a keto diet. Its long-term effect is wonderful. Needless to say that our body needs enough and enough water to carry out proper body functions. While switching to a keto lifestyle, our body just needs more water. You need to have 0.5-1 oz of water for every pound of body weight. You can squeeze the lemon for a flavor or any other flavored water you like. You can also have electoral to replenish your electrolytes while having water. We are not smartphones where we can plug in to be charged. So have enough sleep. If you can manage 7-8 hours of sleep then that is ideal. Have plenty of sleep to feel energized all throughout the day. No diet can affect two bodies the same way. Just like no exercises will give similar results for two different persons. Your body is definitely going to react differently than others. So, it is of no use to compare your results with other person’s starting with keto diet at the same point in time. 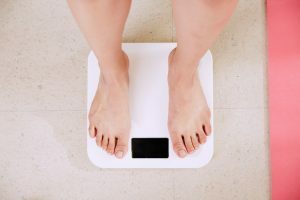 You may start losing off your pounds way faster than others or maybe you will not be able to see any results in the first 2 weeks. So, hold on the patience, Just enjoy the journey and be confident. Any lifestyle change is not easy. At times you may feel demotivated and fall off the track. If you are serious about your lifestyle change then definitely join any community or Facebook groups which speak of keto day in day out. The people who ask questions regarding keto and discusses its recipes and carb counts. Keto Dash comes with a slack community where you will meet all the people who are all on keto journey. YES, your like-minded people who discuss keto and replies to your queries. You will never feel like you are doing it alone anymore. It is such a beauty. 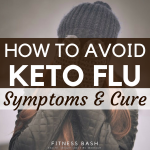 When you are done with the keto mistakes and want some signals if you are doing the ketosis right then check up for the ketosis flu and the different keto symptoms which tells you are entering ketosis. 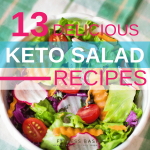 Check out the cool 9 keto smoothie recipes and different keto salad dressing ideas for a cool summer.